As the disciplines within mountain biking continue to grow more audacious, the kit we are required to wear also improves and progresses. 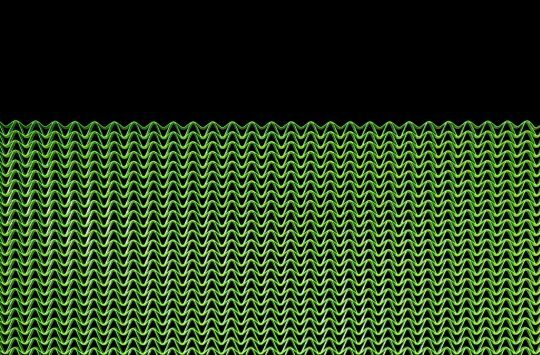 This is easy to see within the range of helmets that are now available, becoming more aggressive looking, with more coverage and new technology to protect our delicate brains. In terms of cash money, the Giro Chronicle sits just below the Montaro, but still hits all the necessary criteria… on the head. At a smidge under £100, the Chronicle comes as standard with MIPS technology. The MIPS system uses an inner liner that can rotate within the helmet, saving the brain from potentially having to do the same. MIPS is a well-recognised brand now, and a lot of helmets, not only trail, are available with the technology. The Roc Loc 5 adjustment system allows one-handed fine tuning. In a market of helmets ranging in sizes and style, the Chronicle sits fairly neutral in terms of both internal fit and external volume. There are five colours and three sizes available; Wil’s been testing the Medium and I’ve been using the Large. Compact is probably a good way to describe the lid, especially with the inclusion of MIPS technology. The hydrophilic pads on the inside are thin but prevalent, and they’re designed to soak up ten times their own weight in brow moisture. The huge adjustable visor leaves room for goggles. Thanks to the snug fit and excellent padding, the Chronicle is very comfortable when riding. The deep shape of the helmet means it sits reasonably low around the temples and on the back of the head, offering good protection for any unwanted head/floor meetings that may come your way. The Roc Loc 5 fit adjustment system allows you to easily alter both fit tension and vertical position with one hand, ideal for when you’re eating a sarnie at the same time. It’s also got a very satisfying clicking sound when you’re cranking it up. 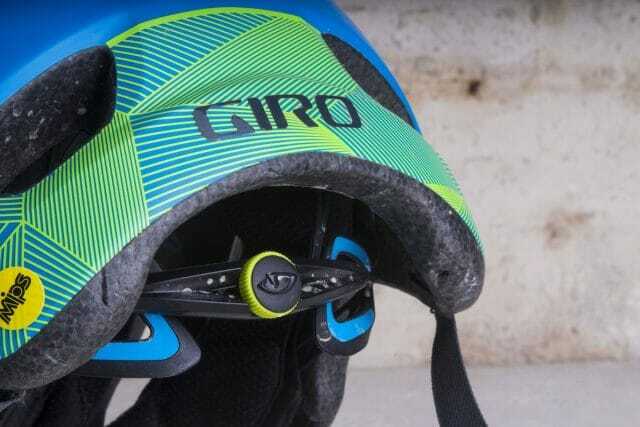 Straps are tactile and light, but feel strong and certainly aren’t flappy when riding. Goggles and a half-lid still looks weird. Wearing goggles with half-face helmets still looks odd, but after a few recent shuttle-assisted rides in blowy, showery conditions, I’m sold. When climbing, the goggles can be stowed underneath the large P.O.V. Plus peak, which has three solid and sturdy positions. 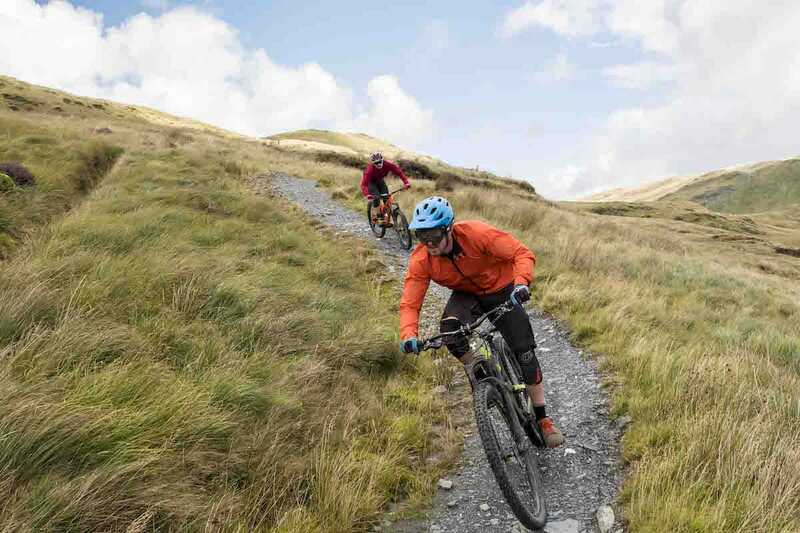 If you ride with longer, straight-armed glasses, the helmet does sit quite close behind the ears, so you may notice some annoying interference. There were some glasses that we simply couldn’t wear with the Chronicle. Both Rob & Wil love their Chronicle helmets. The Chronicle has 16 similarly sized vents (two more than Giro lists on its website), which allow decent airflow. 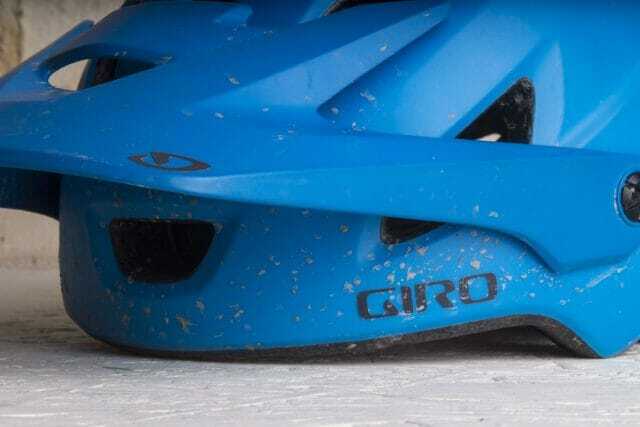 We’d say it’s better ventilated compared to the Bell Super, though the smaller vents means it isn’t as breezy as Giro’s own Montaro helmet, especially on the hotter days of the year. The Chronicle is a technologically advanced helmet that is comfortable and close-fitting, with excellent coverage. Ticking plenty of boxes on the ‘want’ list, and keeping the most important box of all, safe and sound. 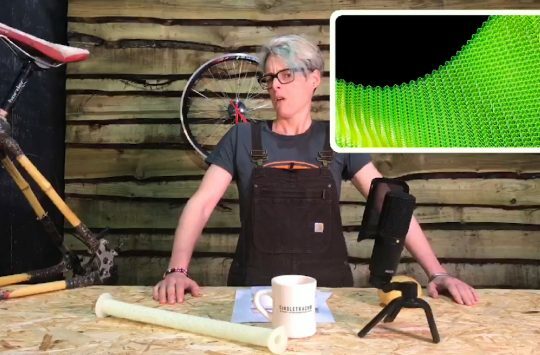 Riding With Wet Feet Is Horrible - Are Dexshell Bamboo Waterproof Socks The Answer? 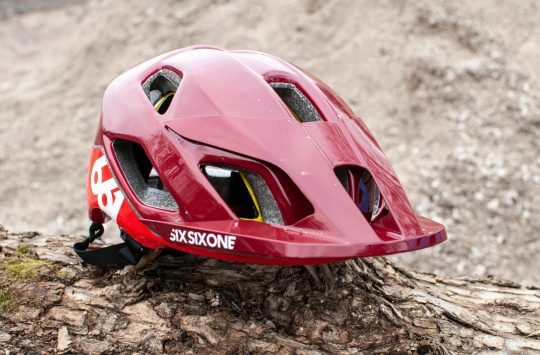 I have this helmet and love it, never have I felt so secure in a trail lid. 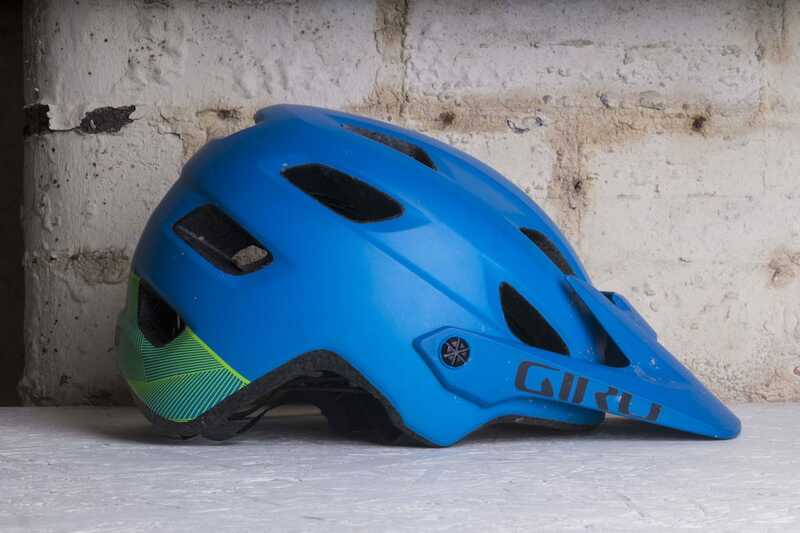 I have had other trail helmets from other brands but always struggled to find MIPS at a reasonable price and a helmet that fits my head as I don’t have a women’s shaped head. Top marks from me for this lid.